According to the most recent NIH and NSF research funding statistics, lab suppliers and biotechnology vendors will find a well-funded market for life science sales at Columbia University. 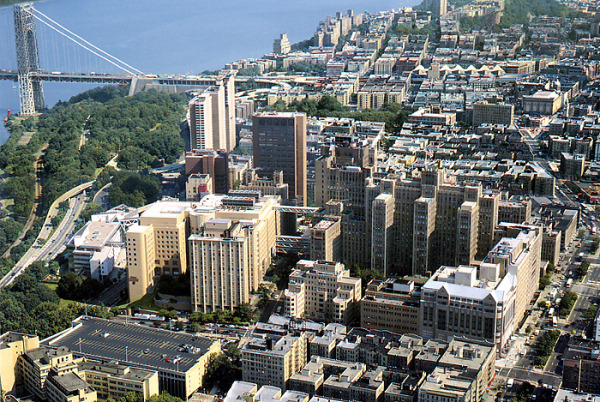 In 2012, Columbia University received $456.1 million from the NIH and NSF. The NIH alone gave the university $361.1 million. The funding went towards a vast number of life science research projects spread out over a variety of disciplines. Below is a list of the top-funded departments, the number of projects receiving research funding and the amount of funding received. For a full list of the departments receiving NIH funding at Columbia University, visit the NIH website. Columbia University also received a large amount of funding from the NSF. In 2012, the NSF gave Columbia $95 million in research funding. Of the life science research projects receiving funding, the programs ranged from climate change to macrosystem biology, genetic mechanisms, behavioral systems, plant genome research, neural systems, molecular biophysics, cellular dynamics and function, systems and synthetic biology, and systematics and biodiversity science. For the convenience of our readers, we have composed a list of the top five NSF-funded life science research projects, organized by funding program, project title and amount of funding received. In addition to receiving NIH and NSF research funding, Columbia University has an annual research budget of approximately $1 billion. According to Columbia Magazine, the Columbia University Medical Center also received a $50 million gift to build a new medical and graduate education facility. The building is expected to cost $185 million. What's more, the Medical Center at Columbia has been given over $15 million to study pluripotent stem cells used in disease treatments. Columbia University also reports that Michael Shen, PhD and the departments of medicine, genetics and development, and the Herbert Irving Comprehensive Cancer Center were awarded a five-year, $6.9 million grant from the National Cancer Institute to study molecular mechanics and prostate cancer. The NSF ranked Columbia University 13th in the country in 2010 for total R&D expenditures in the life sciences, having spent $389.3 million. In 2011, the NIH ranked Columbia 16th for direct plus indirect costs excluding R&D contracts and ARRA awards. Given the above funding statistics, it’s evident that the life science sales market is thriving at Columbia University. Biotechnology Calendar, Inc. invites all lab suppliers and biotechnology vendors to network with science researchers at Columbia at our annual Armory Track and Field Center BioResearch Product Faire™ Event, adjacent from the Columbia University Medical Center, on October 1, 2013. Biotechnology Calendar Inc. is a full-service life science research marketing and events-planning company that has been organizing on-campus trade shows at top research institutions for 20 years. For more information on Columbia University funding statistics, click on the button below. If you’re interested in learning about a life science sales market closer to home, we encourage you to check out our 2013 calendar of events.